The Village Creek complex is located just across the street from the Mountain Village core. 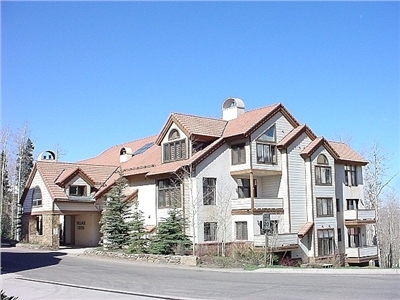 This complex is just steps away from skiing, dining, and shopping. Lift #4 and the gondola are approximately 100 yards away. Off-site parking is available for some units but not all. Views, views, views! 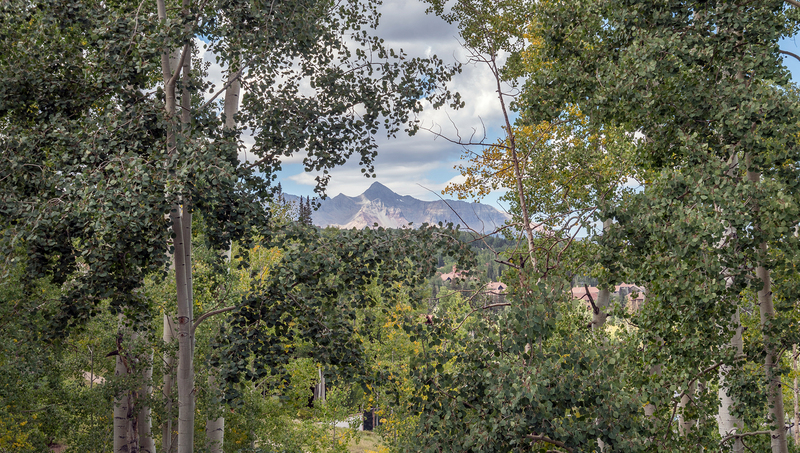 The Emerald Elk is a spacious condo located in the Mountain Village core that has convenient access to the slopes, ski school, restaurants, the gondola, and so much more! Not to mention, the killer views out of the living room windows and off the deck! 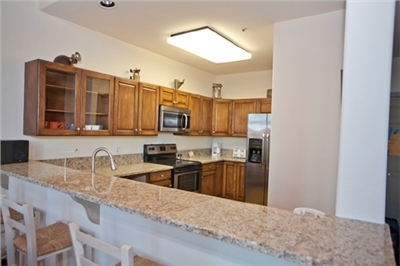 Enter the newly remodeled Village Creek building and walk up a small flight of stairs to this condo, which is located on the second and top floor. Upon entering the residence, guests are welcomed into a small entry hall that opens up to the spacious and open kitchen and living room area. Upon entering the space, you'll immediately notice the floor-to-ceiling windows with amazing views of the mountains - and sunsets! A fireplace centered on the wall makes the large, open space with vaulted ceilings seem cozy and warm. 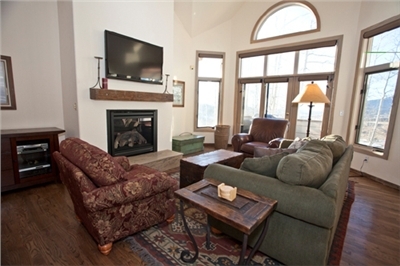 The living room also has a flat-screen TV, queen sleeper sofa and plenty of other seating for all guests. A large deck off the living room gives guests a great spot to hang out and enjoy the sunsets or grill. The living room opens up to the kitchen, which has bar seating for three at the breakfast bar. 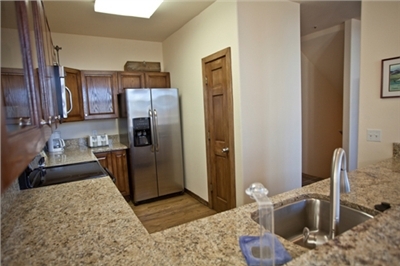 Newly-redone countertops (pictures coming soon) and stainless steel appliances complete the space. The dining room is adjacent to the kitchen and comfortably seats six. There are two bedrooms on this level; each with two twin beds. 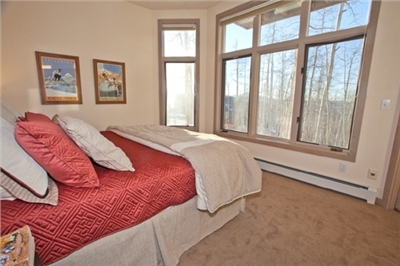 One bedroom features a flat-screen TV and a small deck facing north. There are also two bathrooms on this level; both have a shower/tub combination. One has a double sink while the other has a single sink. The entire top floor is dedicated to the master bedroom. 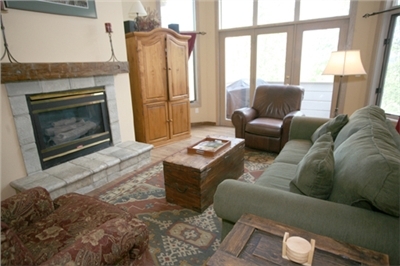 It has stunning vaulted ceilings and floor-to-ceiling windows and a king-sized bed. A flat-screen TV, sitting area and walk-in closet finish off the space. The master bathroom has a double vanity as well as a shower/tub combo. In the hallway is a small room with a washer and a dryer. Village Creek is located slopeside by the ski access run to the Meadows ski run, going down to lift 1. You can also walk to lift 4, the free gondola and restaurants/shops. 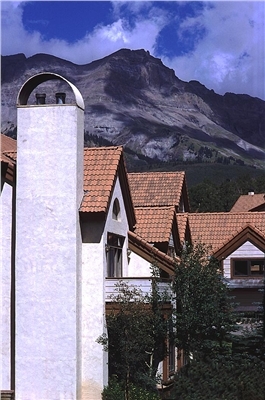 The building has a ski locker for each condo, located in the entrance to the building.